"It seems like everywhere you go, you want to take out the camera and take a picture," comments Ben Brackin from California. 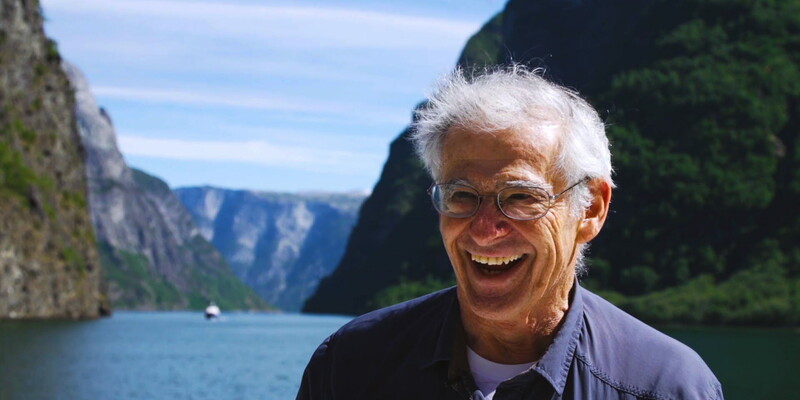 Together with a film crew, we boarded a fjord cruise on the UNESCO-listed Nærøyfjord to hear what passengers had to say about their experience on the fjord. Do you ever wonder what's it's like to sail through the UNESCO-listed Nærøyfjord? What better way to find out than by listening to passengers on board. 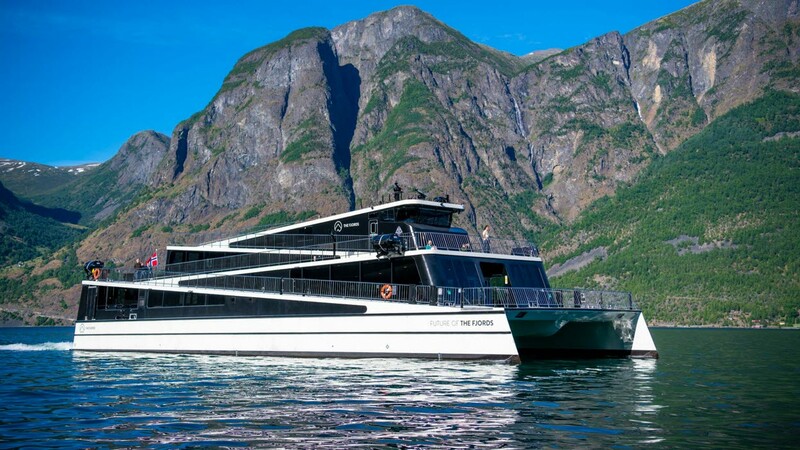 We boarded the all-electric Ship of the Year 2018, Future of The Fjords, on a lovely day in June 2018 to talk to tourists about their adventure on the fjord. Early on, we spotted a fellow who was glowing with enthusiasm and warmth. We just had to have a chat with this delightful man. This wasn’t difficult as he was more than happy to talk to us. "This whole country is a national park – every time we turn a corner, it's like a picture postcard. I mean, look at it! Lee says passionately. Lee wasn’t the only American to make his way from the USA to Flåm and who was captivated by the fjord on this beautiful day in the Nærøyfjord. "It seems like everywhere you go, you want to take out the camera and take a picture. You're on one side of the boat and you see a waterfall and take a picture – and then you look across to the other side and there's another one". "It’s awesome," says Ben Brackin from Newport, California. "It’s incredibly picturesque," adds Katie his wife. The all-electric boat also made an impact on the couple. The silence on board the ship, Future of the Fjords ,was the best part of it, they thought. "This boat is phenomenal. The fact that it's all-electric really made a difference to us when selecting a boat cruise, because you get to hear more of nature, you hear the water, you hear the wind and you hear the seagulls going by," stated Katie. "You don’t even realise you're a boat. It seems like you are just floating around on the water because you don’t hear it," says Ben. "Much better than the Internet. Many travellers from far-away places were taking the fjord cruise on this particular day. Mariam Gaston Santiago and Alan Garcia Camacho had travelled all the way from Mexico City. They explained that they had heard about the fjords, seen pictures online and realised they just had to see this beautiful place for themselves. "And we had a good reason to come because our mums turn 60 this year and Mariam will be 30. We needed a special celebration so we decided to visit the fjords! Their trip to the fjords of Norway lived up to their expectations. And then some. "Seeing this up close is much better than looking at it online. It’s incredible. When we were on our way from Bergen we were thinking: “How could this get any better?". Then we got here. And now we can see, it's even more beautiful!" Alan says. "There is so much beauty that it’s almost unbelievable," says Mariam. Next up on their journey to Flåm was a trip on the Flåm Railway (Flåmsbana) from Flåm to Myrdal. "We’ve heard wonderful things; that it's supposed to be one of the most beautiful train journeys in the world. We can’t wait to go on it". We were able to respond with confidence that they were in for another thrill.